Riki London * Discount for free domestic shipping valid only with promotional code OCTFS17. Promotion ends midnight Sunday, October 29, 2017. 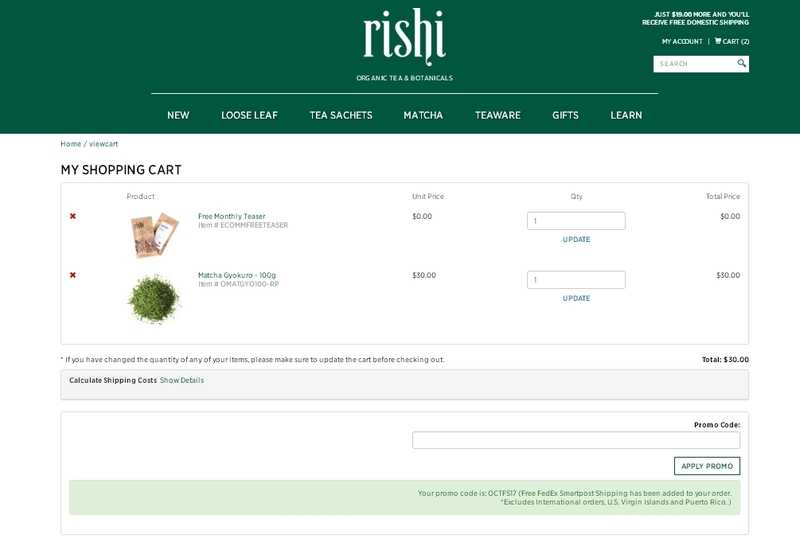 Valid for rishi-tea.com ecommerce customers only. 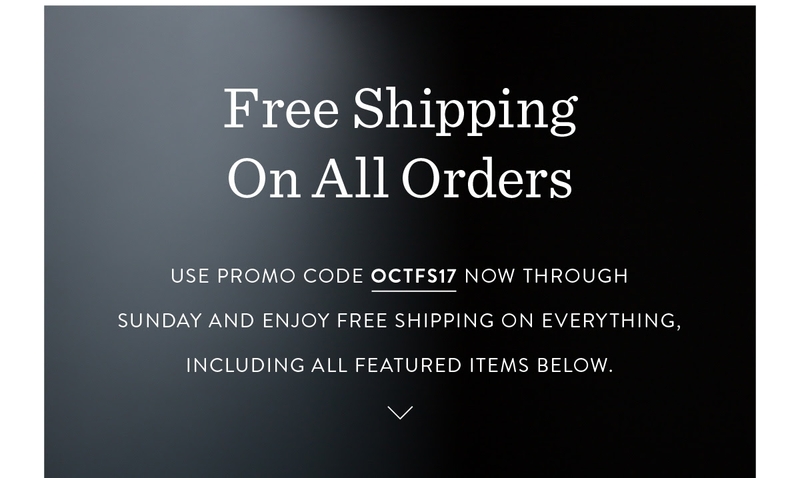 Excludes International orders, U.S. Virgin Islands and Puerto Rico. Promotion cannot be applied to multiple orders or past orders. Cannot be applied to the purchase of gift cards. Other restrictions may apply.